‘Tick Yes for Tikanga Maori’ is the message being promoted by Tu Wahine Trust in West Auckland in response to the upcoming referendum. Maori must reject the law that sanctions the abuse of our tamariki and vote YES to help restore our cultural well-being practices says Sue Ngawati Osborne, child advocate (Maori) who is hosted by Tu Wahine Trust in Waitakere City. “Hitting children is not part of traditional Maori child-raising practice – this would be like striking a tupuna (ancestor/grandparent) in the old days.” says Sue Ngawati Osborne. “Maori children are seen as carriers of whakapapa and mana which must be protected and honoured. “Observations from prominent European settlers of the 1800s confirm that Maori treated their children with great respect, love and devotion – and not only to their immediate offspring. In fact the settlers were surprised to see just how indulgent Maori men were to their children and of never seeing a child being struck are a couple of examples that reveal a history of non-violence towards children uncommon to the Europeans who observed it. “The law on child discipline was imposed on Maori by the early settlers and has had disastrous effects. 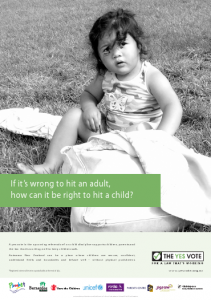 Now, more than 160 years later, child maltreatment and abuse is a huge issue for Maori to overcome. There are Maori service providers in the community such as Tu Wahine Trust who are there to help rangatahi (young people) and whanau with parenting programmes and violence prevention programmes to keep our tamariki safe, she said. By voting YES to the referendum question, we can all play a part in restoring the status of our tamariki as taonga (treasures) who live free from violence and abuse.” says Ms Osborne. Deborah Coddington (New Zealand Herald, June 21, 09) decries the “dastardly” referendum in her regular column saying it was organised “by grown men who should know better”. She goes on to argue that she doesn’t see a future in NZ for treasured children nor respect for their presence. Debate ahead of the August referendum on the child discipline law risks being the same polarising, wasted opportunity as it was in 2007, says the Yes Vote coalition. “The Yes Vote welcomes the fact that all political parties, except Act, have pledged their support for the child discipline law, which came into effect two years ago today. 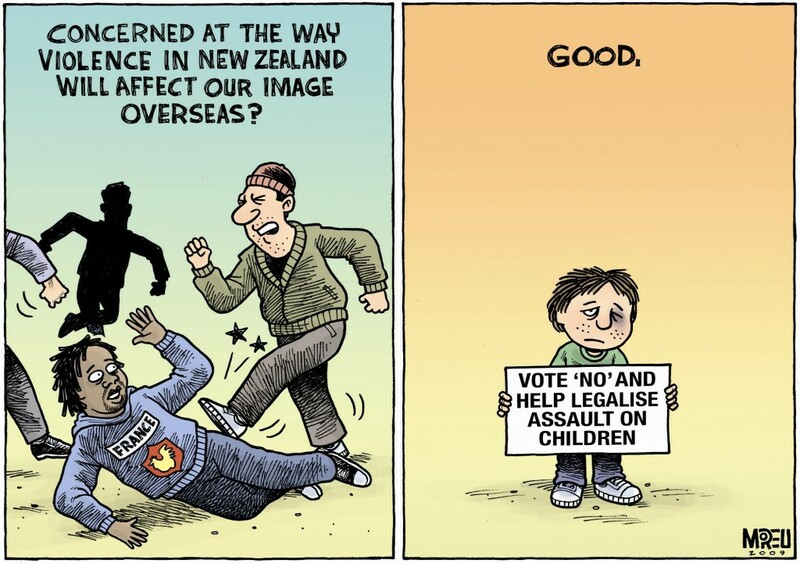 “The reality is that when it comes to stopping New Zealand’s appallingly high rates of child deaths and abuse by international standards, we are all on the same side,” said Yes Vote spokesperson Deborah Morris-Travers. “Yet some of the mud slung at supporters of the current legislation obscures this important fact of national unity. “We have never promoted the view that simply passing a law would either instantly change attitudes or national child abuse statistics. To expect that would be naïve. However, opponents of the law continually cite individual abuse cases as “evidence” the law isn’t working,” said Ms Morris-Travers. “There is a slow shift occurring in New Zealand, which has already occurred in many countries, away from physical discipline as an acceptable element of parenting. 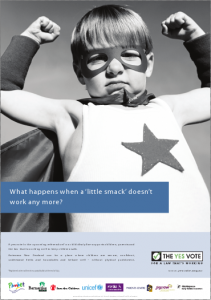 The child discipline law has an important contribution, over time, to reducing the attitudes and behaviours that put children at risk of abuse. “I suspect that in 10, 20, 30 years time, we will look back with the same surprise as we now look back on racial segregation, opposition to the women’s’ movement, or native forest clear-felling and we’ll wonder what this debate was all about. “Change takes time and leadership. The Yes Vote welcomes the political leadership shown over the past week. You’ll find more posters and free stuff on our free stuff page. « Older posts « Bad question, but it’s still important to vote!